Temperatures in the 50’s. That’s down right balmy compared to what the weather folks are showing us up in the northern part of our great country. Places like Chicago are getting walloped with temperatures in the 50’s as well – as in 50 BELOW! Are you kidding me? 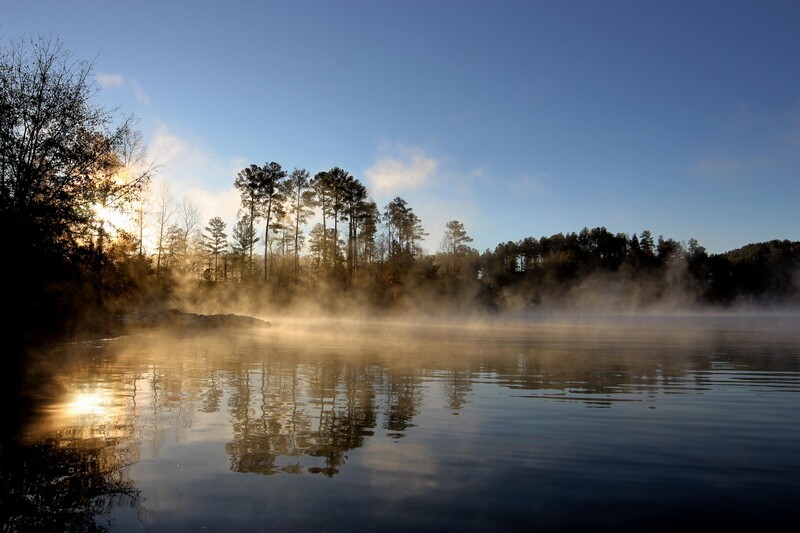 What could possibly entice you to live there when you have a place like Lake Keowee with beautiful lake front homes and lots just waiting (not to mention the temperatures allowing for actual human survival)? I understand some of you have to be there for work and that July is pretty nice when it’s not windy. Heck, my family and I were there for Spring Break last year (it snowed a little bit and I had to buy a REAL jacket – for Spring Break mind you!) and it was quite pretty, mostly. We stayed on the “Miracle Mile” so my observations are probably skewed (again, it snowed during Spring Break). Yet again, I digress. What’s up with the Lake Keowee real estate market? Well, we are getting quite a few calls from agents who are out and about “bird-dogging” lots for their clients; getting prepared for the rush of spring on Lake Keowee. The inventory of homes available is low, but there are still several good ones out there. We have a waterfront home in Waters Edge listed in the $400’s with a full sized covered dock in place. Water’s Edge is a gated community and has its own landing. Check out 117 W. Water’s Edge here. We also have a lot of lots that we like a lot (and that’s saying a lot). Some of the best lots a lot of you will see when looking at lots on Lake Keowee. Dr. Seuss would agree. We are also working hard to bring some new properties to the market. With a Keowee Key townhome coming on towards the end of the week and an incredible view lot in Bay Ridge we brought on last week. We are anxious to add good inventory to our listings over the next few months as now is the time to get your property out there for the selling season. Give us a call 866-371-2911 or email [email protected] or [email protected]. We’ll be happy to come and take a look at your Lake Keowee home or lot and let you know what you need to do to get her ready for the market. If you’re in Chicago and have a 2nd home on Lake Keowee, sell the one up there. We can recommend some good realtors in the area and really, nobody really has to stay up there, do they? Many homeowners believe that to get the most money out of their home sale they should sell it themselves, thereby saving the commission they would otherwise pay to a broker. Indeed, approximately one-fourth of home sellers each year do not use a real estate broker and about 72 percent of those are happy with the results they achieved. However, close to half of that 72 percent also stated that the next time around they would hire a real estate professional to help them sell. Why? For many, the time, paperwork, research and hassles involved in getting their home sold on their own were not worth the amount of money they saved in commissions to a broker. For others, by the time they figured in the amount of fees paid to outside consultants, lawyers, inspectors, appraisers, and title, escrow and loan officers as well as marketing, advertising and other services and vendors, they may as well have paid the broker’s fee, which may have included some of these charges up front. Some will also have discovered that the cost of recovering from a misstep or bad decision based on inexperience or lack of guidance more than outweighed the amount they saved in real estate agent fees. 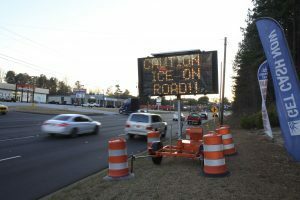 A sign in Seneca warns drivers of icy conditions on U.S. Highway 123 on Tuesday afternoon. WIth an overnight low of 23 degrees predicted for tonight, health officials are encouraging residents to bundle up and be wary of hypothermia. Pictured, from left, Diane Caster, Curtis Davis and Bill Caster enjoy a pontoon ride on Lake Keowee. Memory Café seeks to provide a respite to those afflicted with the early-to-middle stages of Alzheimer’s disease, or any other type of dementia or brain disorder, and their caregivers. Various trips are scheduled throughout the year. By Greg Oliver – SENECA – Enduring Alzheimer’s disease, or any other type of dementia or brain disorder, can be a trying time – not only for the individual, but also the caregiver….